Or view larger version. Californians Catching Wild Horses with Riata. Date unknown. Hugo Wilhelm Arthur Nahl. Oil paint on canvas. Collection of Oakland Museum of California, Kahn Collection. 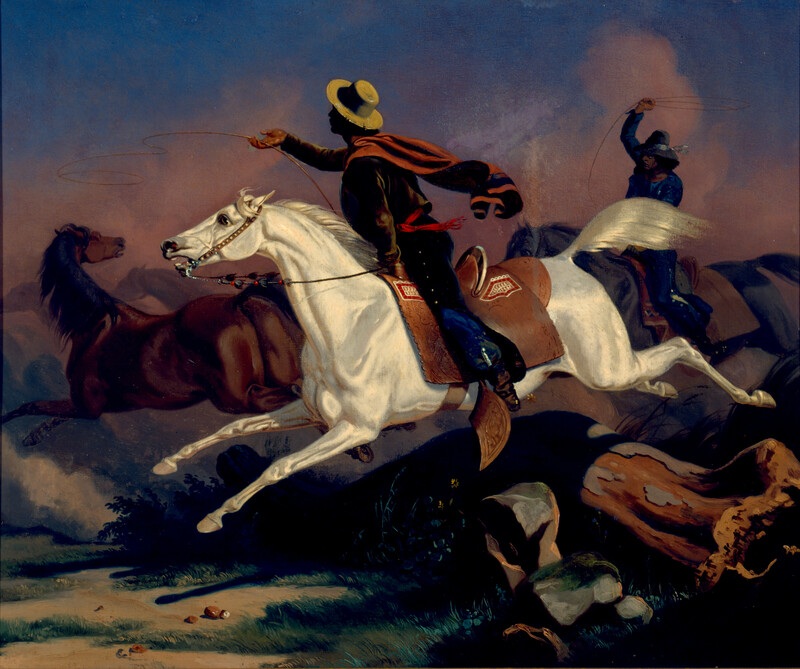 This painting shows two vaqueros on horseback attempting to catch wild horses. The vaquero, the cowboy who patrolled the immense land grant rancheros and their thousands of heads of cattle, was rated as the most expert horseman in the world by all who saw him in action.